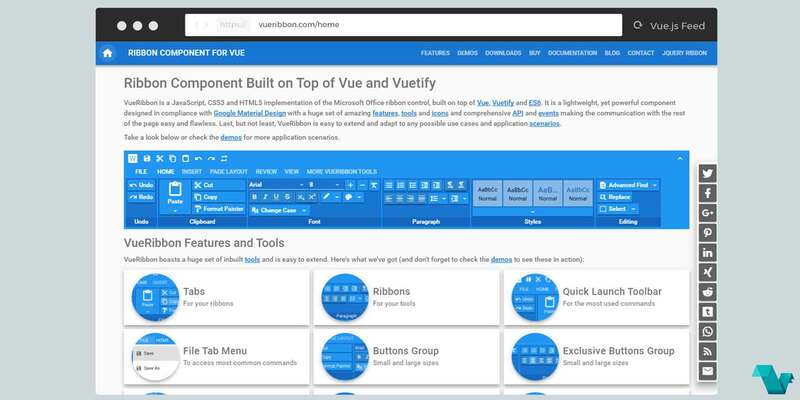 VueRibbon is a lightweight component designed in compliance with Google Material Design with a big set of features, tools and icons and comprehensive API and events. Also, VueRibbon is easy to extend and adapt to any possible use cases and application scenarios. Check the demos for more application scenarios. There is a set of inbuilt tools and is easy to extend. The list of the currently available tools in VueRibbon, like Tabs & Quick Launch Toolbar.